Aero Precision AR15 XL Upper Receivers NOW AVAILABLE! Looking to go LARGE on your next AR build? Look no further than the Aero Precision XL Upper. Forged from 7075-T6 aluminum and featuring an enlarged ejection port, the XL Upper Receiver is your best choice when you’re planning a build to send big rounds down range. If you have .450 Bushmaster, .458 SOCOM, or .50 Beowulf on the brain, Aero Precision has you covered. 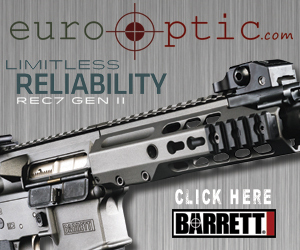 For more information or to purchase an XL Upper, click HERE.